Brand New Luxury Front Corner Penthouse Condo. Kitchen opens to spacious dining and living rooms with gas fireplace, perfect for entertaining. Imported Italian walnut cabinetry w/ Bosch stainless steel appliances and granite counter tops in kitchen. Travertine floors in entry and kitchen. Travertine with mosaic accents & marble counter tops in bathrooms. Recessed lighting. Luxurious Master Suite with amazing walk-in closet. Expansive private covered balcony off living room with French doors. 2 parking spaces in gated garage. 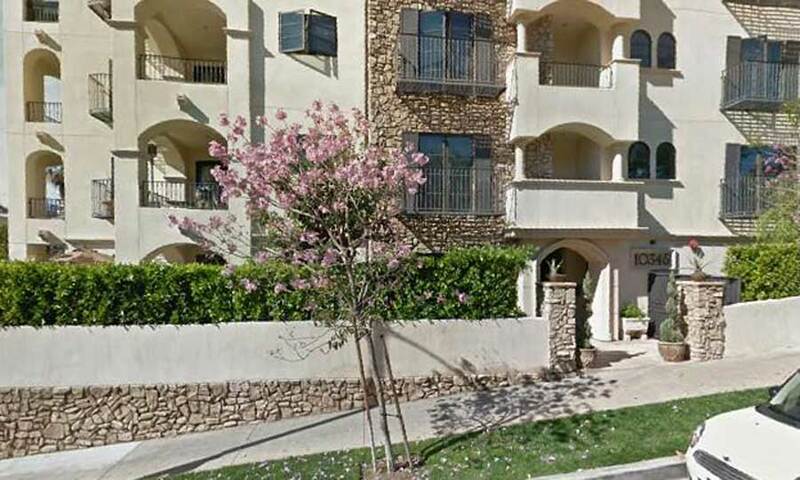 Location close to Century City Mall, Wilshire Corridor and walking distance to Coffee Bean.